This video shows how social discourses surrounding conformity pressures are deconstructed in a Korean context, illustrated by the Korean proverb, ‘the pointy stone meets the chisel’. This video demonstrates how Sunnie – who felt anxious communicating with colleagues – and Eunjoo explored ways to revise her approach to conformity pressures. The conversation with Sunnie proceeds with a map, which consists of three stages: starting with the presented problem; deconstructing social discourses; and exploring alternative stories. The second stage is the process of externalising discourses, which has five steps: making the discourse visible and naming it (‘should get along’); asking about its influences; locating it in history; locating it in situational context; and locating it in power relations. In the third stage, what Sunnie treasures is explored with a re-authoring conversation. In the space created by deconstructing social discourses, she chooses a balance between conforming and honouring her heart’s desires – emphasising her ability to make active choices in each situation. She shows one way in which a pointy stone can avoid the chisel and preserve its corners. Eunjoo Lee is a narrative practitioner in Seoul, Korea. 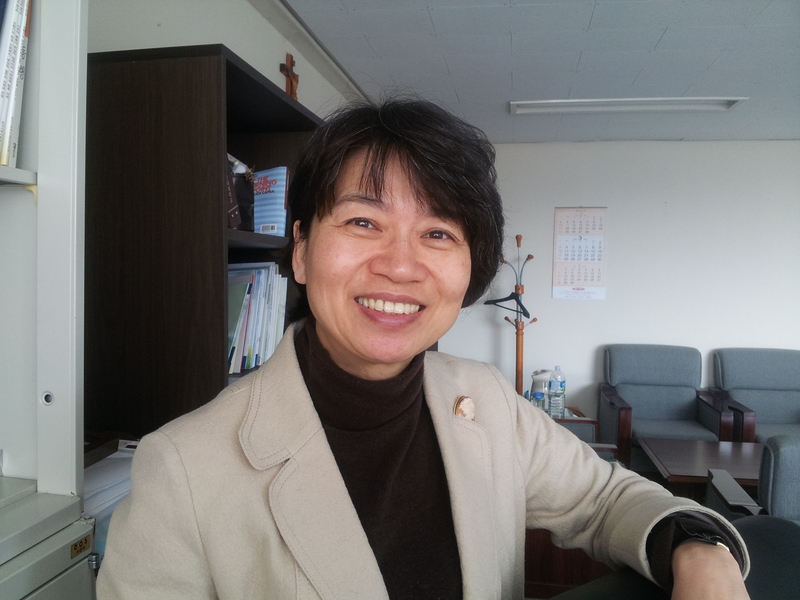 She worked for 17 years as a professor in social work at Kkottongnae University in Cheongju, Korea. Her special concerns are family, gender, violence, power relations and culture. She can be reached by email: [email protected]. I liked your introduction regarding social and cultural discourses and the fact that although some may be powerful, they often contain diverse and sometimes contradictory strands and are seldom uncontested – giving openings for deconstruction that is meaningful to ‘clients’. Your presentation was also helpful since I find some narrative concepts rather slippery and at the same time feel they could be imposed rather than used to open space for the other. Your presentation not only sets out a clear framework, but also illustrates how that is used in therapy, while maintaining an awareness of and actively working against the potential of the therapist to impose a particular narrative, rather than allow for the creation of a narrative fitting the person. Your use of notes as a way to suggest further avenues to explore and to consolidate alternative narratives is right on the mark!